Ormond Burton was born and raised in Auckland. Central to his young life was his religious education, through which he became a strong public speaker and debater, as well as an unwavering Christian. After secondary school he attended Auckland Training College, and by 1913 he was sole-charge teaching at Waimana Sawmill School in the Bay of Plenty. 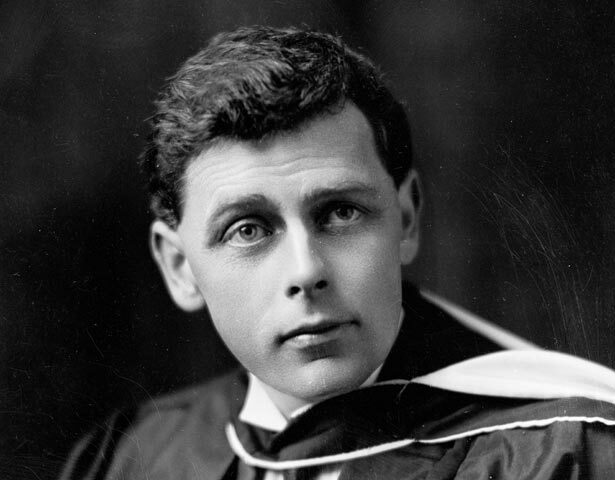 In 1915 Burton went to Gallipoli as part of No. 1 New Zealand Field Ambulance, at first tending to the stricken and later carrying a stretcher. As an infantryman in France in 1918, he was wounded for a third time, and awarded the French Médaille d’honneur to wear alongside his Military Medal. In 1917 Burton was asked to write an account of the New Zealand Division at war. This and his later war histories were commended for their realism, and for detailing the plight of the common soldier. Burton was disillusioned by the terms of the Treaty of Versailles. He committed himself to Christian pacifism and urged others to refuse to join the armed forces. Burton trained as a clergyman in the 1930s, and was appointed minister of the Methodist church in Webb St, Wellington. Using his positive attitude and charm, he reinvigorated his circuit and began reaching out to the needy in his community. In 1936, he helped establish the Christian Pacifist Society of New Zealand (CPS). At the outbreak of the Second World War, Burton immediately began protesting in public. Expressing anti-war views in public had been made illegal, and Burton was arrested and fined on a number of occasions. In mid-1940, after the regulations were tightened further, Burton and other CPS members were arrested for speaking in Pigeon Park. This time he was given 12 months’ imprisonment. His longest jail term came in October 1942, when the Supreme Court sentenced him to 2½ years for views expressed in the CPS’s bulletin, on the grounds that they were subversive. In 1942 the Methodist church voted to expel Burton. Its decision that ministers should neither support nor discourage recruiting was unacceptable to Burton, who remained a devout Christian pacifist for the rest of his life. His distaste for ‘looser’ forms of pacifism was to leave him increasingly alienated from the wider anti-war movement of the 1950s and 1960s. On his release from prison Burton found employment at Wellington Technical College as a night-shift cleaner. He was principal less than a decade later. Readmitted to the Methodist church, he was a minister at Otaki until his retirement in 1960. We have 22 biographies, 40 articles, related to Ormond Burton.